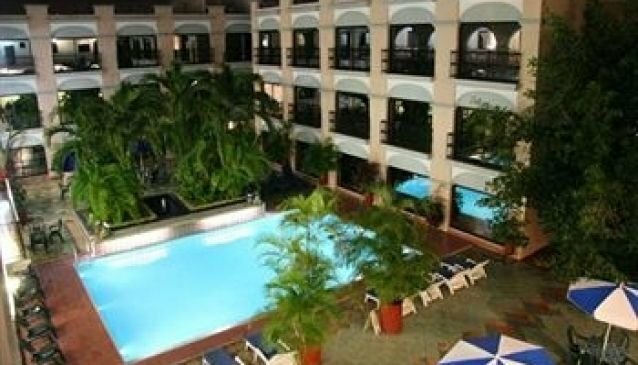 A big city hotel for travelers on a budget, the Dolores Alba Hotel is an inexpensive option and it's just a 10 minute walk from the main square, you can take a taxi for cheap if you're not feeling like walking thoug. All rooms surround the courtyard; the halls are decorated with paintings from Mexican artists such as Frida Kahlo. You can also get a room with a small balcony overlooking the pool area. This hotel stands for its utility; it is clean, safe and quiet. It does have air conditioning, wi-fi, and the beds are comfortable. It is economical and good for its value.